The Major League Baseball All-Star Game was supposed to be a celebration of the game, the best of the Boys of Summer on display for an international audience. But something clearly was wrong. Major League Baseball Commissioner Rob Manfred criticized the game’s best player Mike Trout because he is not as recognizable as say LeBron James or Tom Brady and somehow that is Trout’s fault. 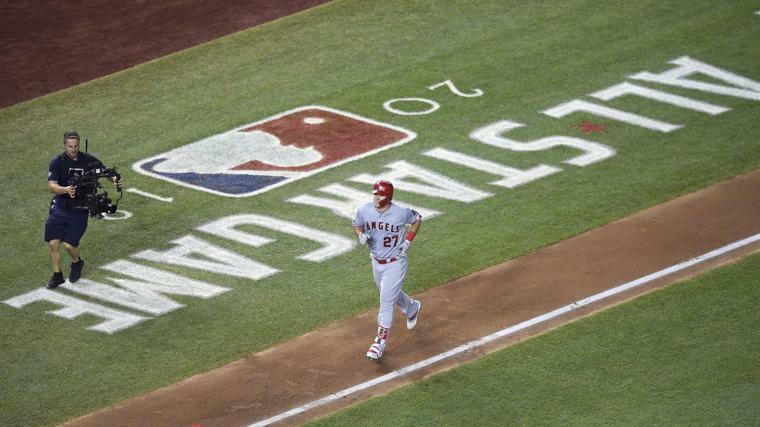 It is not Mike Trout’s fault that Major League Baseball attendance is down and it’s not Mike Trout’s fault that viewership of a baseball’s showcase event, the Home Run Derby, dropped by 32 percent from 2017 numbers. It was the third lowest watched Home Run Derby. But that number doesn’t tell the whole story. Adults between 18 and 49 just were not interested but the baseball show did beat out network TV’s top rated show that night, The Bachelorette. It is the 18- to 49-year-old rating that got Manfred’s concern. Young people aren’t too interested in baseball. The All-Star Game TV numbers were not much better. It was the lowest watched game ever. Baseball’s popularity has been in a freefall for years and baseball is no longer entrenched in the American culture. Baseball, on both the major league and minor league level, no longer has standalone time, spring training starts just after the Super Bowl and prior to the NCAA Men’s College Basketball Tournament. There is Major League Soccer, the National Basketball Association and the National Hockey League playoffs which start in April and end in mid-June. The NBA Summer League has become a big deal. NFL training camps start in July and college football starts in August. Baseball once was a part of vaudeville, burlesque, radio, movies, TV, plays and books. Culturally baseball isn’t important anymore. There is no clear path to return to the top of the sports heap. Previous articleWhat Should the Sports Movement Aim for in Flirtation with ESports? Another Evan Weiner death-of-baseball screed. Give us a break!